With the warmer days of Spring and the blooms of colour just around the corner, it's time to freshen up your hair with a new style and perhaps a splash of colour. According to Jenni Tarrant, Owner/Creative Director of Canberra's Bond Hair Religion, "Shape and Texture are the new buzz words for the upcoming Spring/Summer seasons." Short blondes, textured brunettes and longer-layered strawberry blondes will be key to your trend forecast for this coming season. "The Shag and Mullet are the big fashion trends of the season," says Jenny, "with stars like Katy Perry and Michelle Williams wearing choppy, pixie crops and making a bold statement to shake up hair fashion." 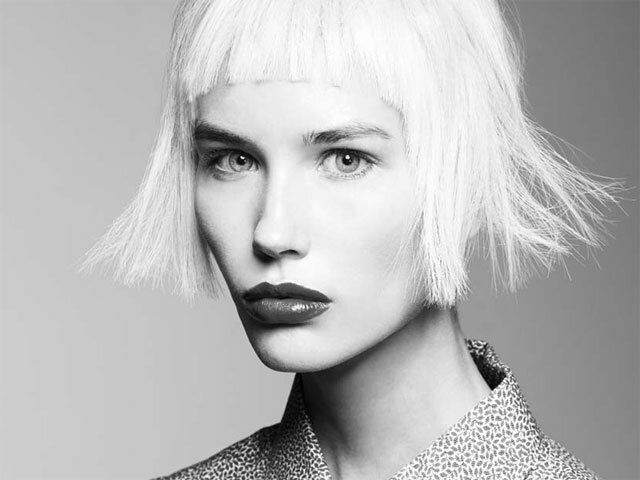 This look can be softened with longer ends for a cooler, sophisticated style as shown by Hayley Bennet. The SHAG is back! Gone are longer-layered looks with short, choppy texture made famous by Suzi Quatro. And dare we say it, but the MULLET 2017 version is all about party at the front and business at the back. "The MULLET is no longer a fashion no no as has been the case in the past," says Jenny. "Cut with artistry and craft, this look is setting the fashion conscious on fire. 2017 Spring Colour trends embrace full-head lightening (always adding a Plex to keep the best quality possible), with pastelised tones. "Brunettes will warm up with a shimmer of copper and we are really encouraging clients to embrace the GREY," says Jenny. "Beauty is for all ages, and so many hot beauties are wearing amazing shapes with a panel of POP to stay ahead of the trend."